population is expected to swell to nine billion people by 2050.
insurmountable. 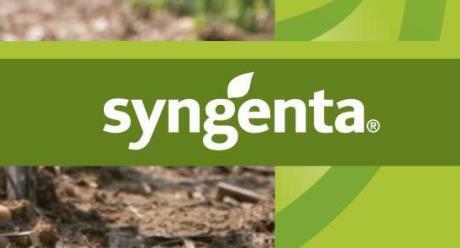 Syngenta believes that farmers can produce enough to meet the world’s needs. The knowledge, science, technologies, skills and financial resources to build a sustainable future exist. Now we need concerted global action to bring these capabilities and resources to the farm. progress of the technologies the world needs to feed itself. Long-term policy goals will need global cooperation and investment in increasing productivity and improving the operation of food markets. Such policies will help support the 2 billion people living in households depending on small farms. These smallholder farmers will also need access to education,knowledge, assets, credit, insurance, and markets. A recent studyfrom the World Business Council for Sustainable Development (WBCSD) shows that it is possible for a global population of some 9 billion people to live well and enjoy health, food, shelter, energy, mobility and education. Syngenta is ready to play its role in making this vision a reality. Global agriculture demands a diversity of approaches, specific to crops, localities, resources and cultures. Putting innovative technologies in the hands of growers can enhance yields, improve incomes, and protect natural resources. This in turn can help break the cycle of poverty and hunger which inflicts rural communities worldwide. We can grow more using less water and land through technologies that unlock the potential of plants. These include drought-tolerant seed varieties, products that enhance plant performance and products that protect against insects, diseases and weeds. Recent efforts to deliver such essentials have been undercu t by advocacy against agricultural modernization. Some oppose the use of improved seeds and crop protection products. Anti-biotechnology and anti-pesticide policies persist in parts of the world. We need supporting policies based on independent scientific studies that prove the safety of modern agricultural technology. To meet today’s challenges, regulators must make new technologies available based on solid science. Business, government and society need to engage more actively and work together. Economic frameworks and governance structures must change in order to encourage and incentivize new partnerships. Together we can build the path to food security. See how we make a difference throughout the world. The Syngenta Foundation was established in 2001 to support local communities in the developing world. The Foundation helps poor farmers boost crop yields, improve their business skills and access markets.